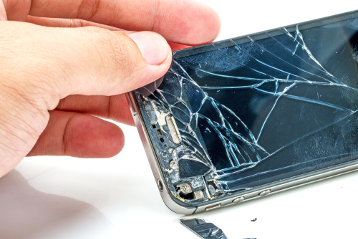 Would you not get pleased if the cracked screen of the smartphone repairs itself as the original? The scientists of the University of Bristol have successfully developed such a technology that if a delicate gadget cracks, it can repair itself. These scientists have shown in a presentation, their achievement before the Royal Society in London. Similarly, in future, according to them, the cracks in the wings of an aeroplane would repair themselves in a short period. It is a self-healing process, as happens in the human body. Yes, a new era has begun for the smartphone glass screen repairing itself, very similar to the human body repairing itself for the mild cuts or abrasions. Microsphere carbon works with fiber material for the healing process. Various cracks will repair by the liquid in the blisters within the material. The primary tests carried out were successful. The leader of the team Professor Duncan Vass explained that the small hurts of the human body get healed by the chemical process of the body. The basis of their research on the synthetic material got planned on this premise. It is an innovation and the requirement of the present times. The scientists believe that self-healing metal could be used to repair the cracks in the gadgets or aircrafts or more applications as the human body does. This group of scientists with Professor Duncan Wass, who led the research at the University of Bristol got together to research and identified carbon fibre reinforced that got used in sports equipment. 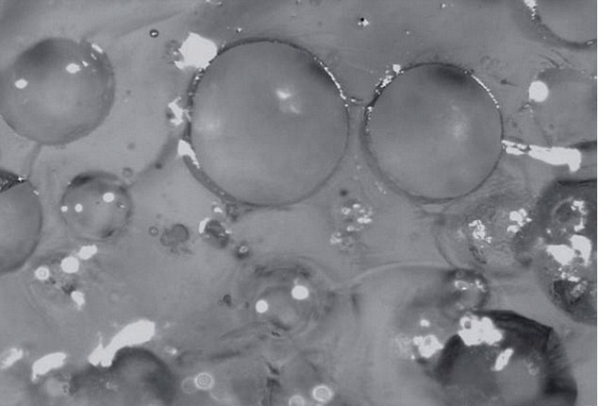 In short micro-spheres, like empty or bubbled circular tablets – which get filled with a reparative and restorative medium. These capsules like microspheres get embedded in the carbon fibre reinforced stuff and added with a catalyst. Whenever the cracking takes place, the microspheres open and give up the carbon solution that readily fills up cracks and get hardened in a short period. It is so easy to imagine that microspheres break upon impact, and the catalyst spills, two sides of metals fuse after the filing is available and hardens. The cracks get filled, the manifestation of self-healing, as we note in the living being. Professor Wass and his team specialise in modifying carbon fibre composite materials, the strong but lightweight substances used increasingly widely in the manufacture of everything from commercial aircraft wings to sports racquets and high-performance bicycles. His team has been working with aerospace engineers at the University, who wanted to know if there was a way of preventing the tiny, almost undetectable cracks that form in an aircraft’s wings and fuselage. The team’s ingenious solution started “on the back of an envelope” but has since developed into useable technology. It involves adding tiny, hollow “microspheres” to the carbon material – so small that they look like a powder to the human eye – which break on impact, releasing a liquid healing agent. In the present scenario, the new technology gets applied to smaller cracks. The small crack can prove to be disastrous for the aircraft structure and a quick action is required to repair. More time is needed to improve on the invention. The systematic experiments got carried out at the University of Illinois in 2001, had successfully used this method to repair plastic materials. The successful work has been going on in self-healing concrete in the construction industry. The sky is the limit for the self-healing industry in which the smartphone shall be the first one used on a large scale.